Rustic Saddle Stool. 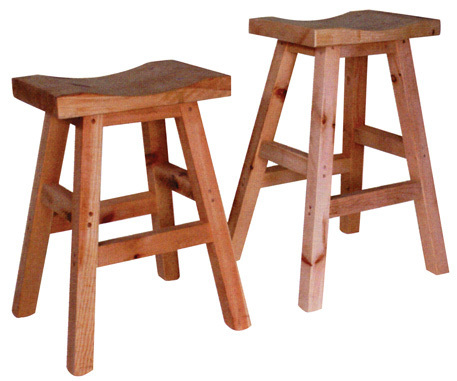 Stools are constructed of all ruff sawn solid wormy maple. Perfect for areas where that have high surfaces with little space or a great match for any of the other Schlabach Country Timbers Dining Sets. A great value as well. Comes in any of the three seat heights at no extra charge in the Schlabach finish of your choice.